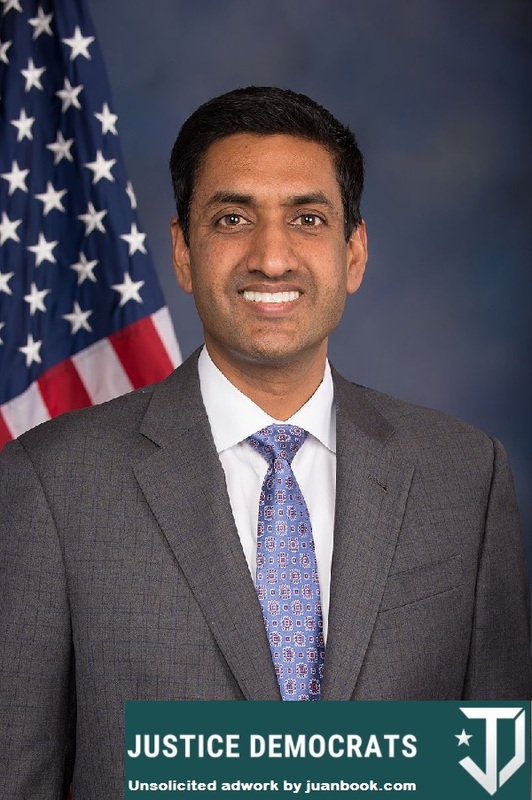 Rep. Ro Khanna; A Democratic Congressman for California's 17th District (south San Francisco Bay area) joined the Justice Democrat wing of the party. This marks the first sitting Congressman to join the 3-month old movement. Khanna is one of only six members of Congress who doesn't take campaign contributions from Political Action Committees. The Justice Democrats are a political action committee was founded on January 23, 2017, by Cenk Uygur of The Young Turks, Kyle Kulinski of Secular Talk, and former leadership from the 2016 Bernie Sanders presidential campaign. The organization, formed as a result of the 2016 United States presidential election, has a stated goal of reforming the Democratic Party by running "a unified campaign to replace every corporate-backed member of Congress and rebuild the [Democratic] party from scratch" starting in the 2018 Congressional midterm elections. The Justice Democrats have been described as attempting to create a left-wing populist movement analogous to the right-wing Tea Party movement. Add this to the two candidates (thus far) that they will be running in the 2018 primaries and it appears that the group is wasting no time working towards their objectives.